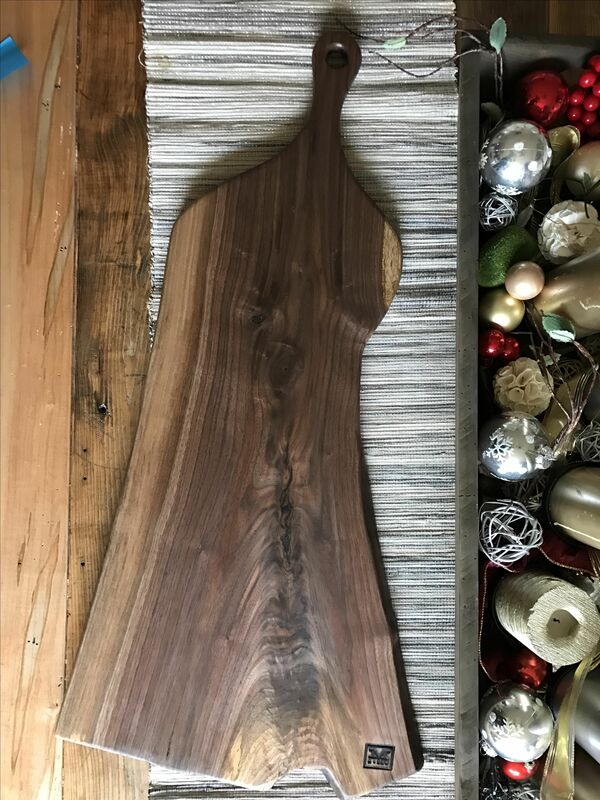 Our handcrafted walnut board is perfect for everyday use or as a conversation piece for your finest cheeses and charcuterie. THE SOPHIA features an elegant, long neck handle and beautiful grain throughout. This board measures approx. 32-36" x 10-14". 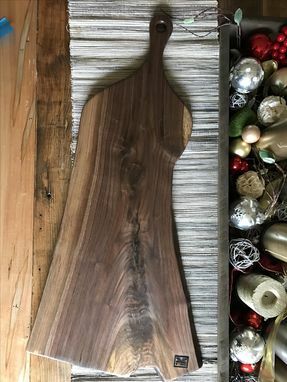 Each board varies slightly in size and shape to complement the unique graining within each piece.